Bike Scenic HoneyBee Canyon Loop! Mountain bike pickup/delivery at the trail - Just $95 per bike! Canyon Is Perfect For Families! Arizona’s greatest trail is perfect for beginners to advanced…. If you don’t want to transport mountain bikes, we’ve got the solution for you. Our Honey Bee Canyon Trail daily tours depart from the base of the trail and head straight into Oro Valley and North Tucson. We deliver/pickup high-end rental mountain bikes at just $95 per bike. It is perfectly manicured, with fast and curvy cycling routes that are fun for beginners and advanced mountain bikers. 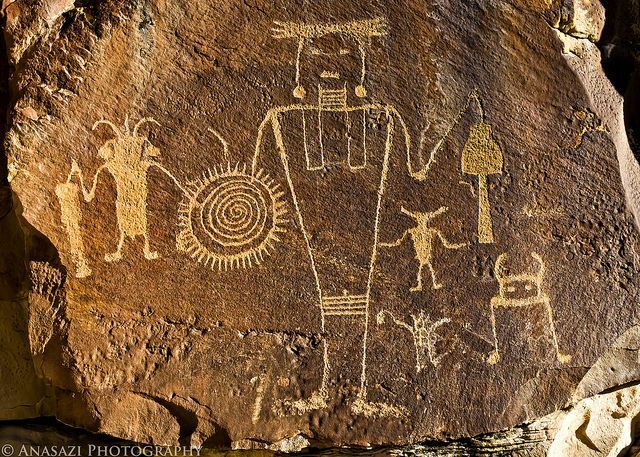 There are Indian ruins, petroglyphs, and sensational rock and nature along the cycling route. Hollywood legends like John Wayne and Gary Cooper were at the HoneyBee Canyon trail to film movies: see if you can spot some famous locations. Cycle through a trail that is rich with history. This Arizona biking trail goes through the lands of Spanish Conquistadores, Apaches, Hohokams, and more. Because HoneyBee Canyon Trail is a loop, there’s no chance of getting lost. Our bikes have awesome, NO FLAT STAN’S TUBELESS Specialized and Giant mountain bikes, helmets, pedals, and saddle bags. So there is no worrying about getting a flat bike. 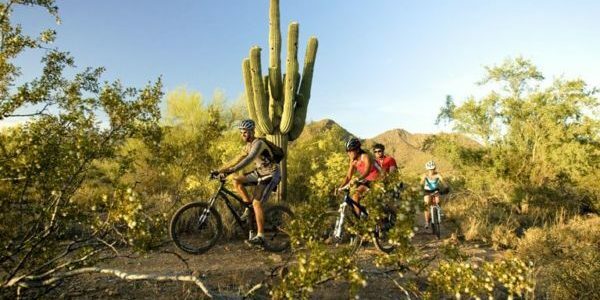 Set yourself free with a trip back to the past, and cycle through Tucson and Arizona’s most famous and scenic trail. HoneyBee Canyon is the most beautiful mountain bike trail in Tucson. With more than 35 miles of trails, HoneyBee also offers a couple of fun loops both short and long. 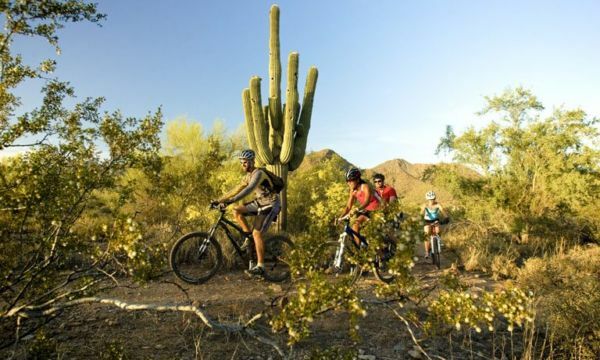 HoneyBee Canyon is a “must-ride” Tucson mountain bike trail. With our daily tours, we will meet you at the head of the HoneyBee Canyon trail and deliver great mountain bikes, plus the helmets, pedals, and saddle bags you will need with spare tubes and accessories to get you through the ride. Text us when you are done, and we pick up the bikes. All you will need to bring is plenty of water and well-rested legs for your adventure to begin. Mountain Bike HoneBee Canyon! $95 pickup/delivery to trail everyday!